A growing trend in working life is for people to begin businesses later on in life, sometimes to phase their retirement or to earn extra income in retirement. 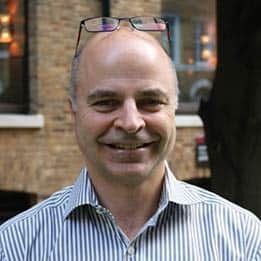 Steve Blissett of Rodliffe Accounting, a London-based firm specialising in small business accounting, outlines best practice for starting a new business and sheds light on the technology simplifying accountancy for business owners. In this article I want to cover best practices in running a business from starting out and then establishing your business. Getting used to running management reports and having the right information at your fingertips at the right time can really help you understand your business and allow you to grow. A huge part of automating reports and generating accounting efficiencies is cloud-based technology. This is not just cloud bookkeeping, but also the ecosystem that has grown up around accounting software, so I’ll walk through this too. When starting out, it’s best to engage with an accountant right at the beginning of the process. Accountants will often meet you for an hour or so free of charge and they will be able to provide invaluable insight on how to pull together your business plan. When you have this plan you will need to decide on the most appropriate business structure. For example, should you start a limited company? If the answer is yes, then there are other things to consider at this point too, like shareholders, directors, etc, all of which your accountant can help with. Your business plan needs to be robust and your accountant can check this for you. At Rodliffe, we have helped businesses with hundreds of plans like this to make them easier to understand and, importantly, realistic. If you’re considering looking for external investment, then banks and other external investors will require a robust plan. Your plan needs to show not only profit but also your cashflow as this will determine the level of investment you may need (and when this will be repaid). Now you have started you need to keep complete records, but the good news is that bookkeeping is much easier these days than it was ten years ago. Now you can keep an eye on your income and expenses by using cloud software that runs on your laptop, tablet or smartphone. Ask your accountant to suggest the best software to use and to show you the slickest way to keep your books up to date. At Rodliffe we recommend Xero. Cloud software like Xero has a dashboard that keeps key information up to date in real time, e.g. who owes you money, how are your sales tracking, and so on. You should be looking to get up-to-date accurate reports regularly that compare your progress to your plan or budget. These management accounts keep you on track. Keeping digital records in this way also means you are ‘Making Tax Digital’ compliant ready for this legislation that’s introduced in April 2019. Businesses will not now be mandated to use the Making Tax Digital for Business system until April 2019 and then only to meet their VAT obligations. This will apply to businesses who have a turnover above the VAT threshold – the smallest businesses will not be required to use the system, although they can choose to do so voluntarily. highlight one-off or exceptional costs. Now you have a set of management accounts and management information reports. If set up correctly these reports should be relevant and quickly generated so you can make decisions about your business. Using cloud accounting software provides opportunities for efficiencies elsewhere, saving you valuable time to concentrate on your business. For example, you can set up direct bank feeds and also investigate the Xero Ecosystem to see what other cloud software integrates with Xero. electronic point of sale (EPOS) systems to link your sales and stock to Xero. In the past, the annual accounts process was often so time consuming there was little opportunity to discuss the future plans of the business with your accountant. Now, with the efficiencies and software benefits mentioned above, the end-of-year accounts should be quicker leaving more time to consider the strategy of your business. In fact, by reviewing management accounts and the business dashboard during the year there should be no surprises in the end-of-year accounts and your tax bill should be more or less as expected. At Rodliffe, we discuss the accounts with small business clients two or three months before the year end and use this meeting as an opportunity to plan next year and to discuss strategy. This really helps to add value for the business so they have more clarity on the key issues that will affect future performance. Again, software can help the planning process as there is integration of cash flow and forecasting software with Xero, such as FUTRLI and Float. The accounts for larger SMEs (small and medium enterprises) who are growing may need to be formalised and signed off by the board. The accounts need to include the profit and loss account and balance sheet. Also, they need to provide insight into the health of the business’s cash flow and liquidity. For example, is the net assets position of the business improving or getting worse? A good relationship with your accountant can help you focus on doing what you do best, which for a lot of small businesses is creating a product or service of value. What’s more, the accounting technology referred to in these articles can save you time with your accountant and give you the chance to tap into their wealth of experience. This article has been compiled by Rodliffe Accounting in association with Wren Sterling, the Financial Conduct Authority does not regulate legal services.